Live social media posts are a great way to encourage people at a tradeshow to stop by your booth and engage followers that aren’t physically there with your presence at industry events. With all you are doing at the show to lure people into your booth, finding time to post on social media may seem daunting at first, but there are strategies that make it seamless. Creating a give away that provides content for social media is just one way we upped the ante for our client Marshall Pets at the Global Pet Expo in Orlando this past March. 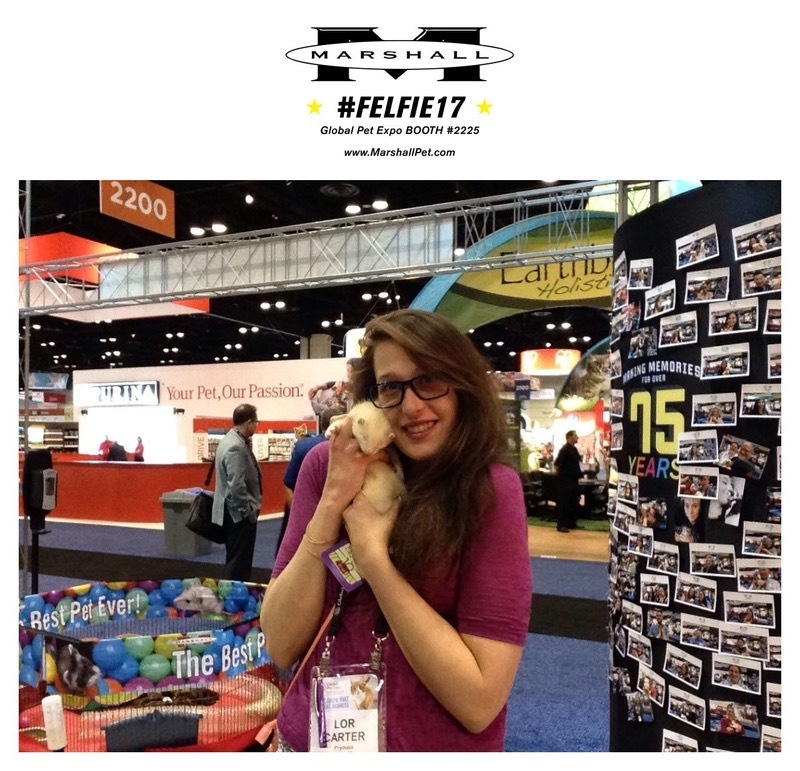 By utilizing the SimpleBooth app on an iPad connected to a photo printer, we transformed a small section of our 20′ x 40′ booth into a selfie station or as we branded it, a “Felfie Station” where people could get a selfie with a ferret. This set up was easy and cost effective and it generated a ton of buzz at the show and on social media. The SimpleBooth app allowed us to brand our photo frame and send it directly to the person’s phone with social media tags embedded. We further encouraged engagement by holding a contest for the most shares and likes. This formula got our audience to do the work for us! Furthermore, during our slow times at the station, we would post quick FB LIVE videos of the ferrets in action and invite people to come down to see. The social media reach was palpable with spikes during those two days at the show that have never seen before. 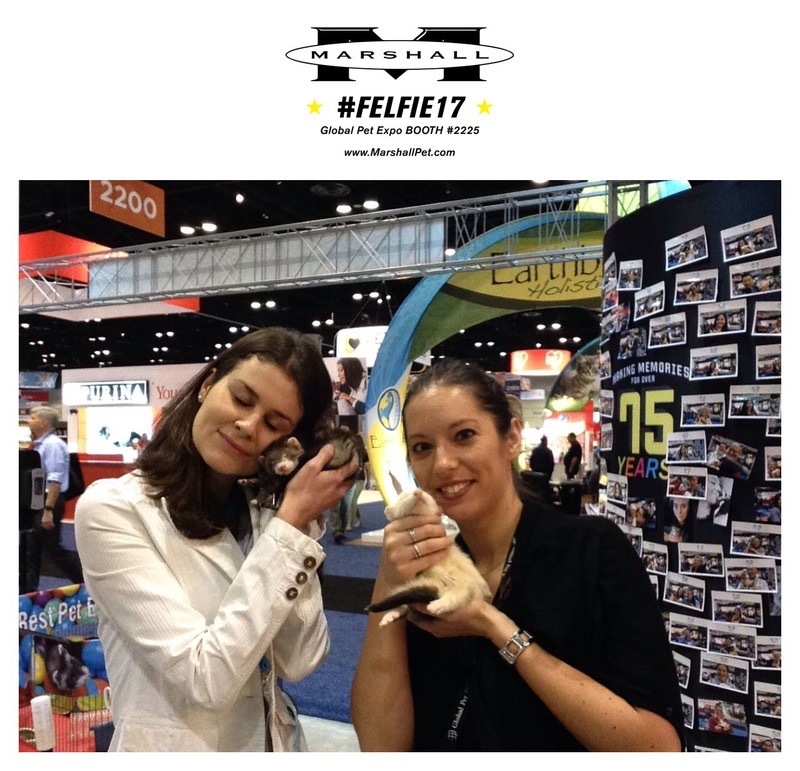 Brand awareness increased as the people in the photos shared their “Felfies” with their networks and actual visits to the booth increased over years past with the fun activity and take away of both the digital file and a print out of their photo. You’ll notice on the right side of these photos a photo wall. This was on the main aisle of the show to help attract visitors as well. We had plenty of repeat visitors who brought their friends or wanted to see what new “Felfies” were posted.